I feel that now is just the right time for a tasty little treat. I can say this with confidence even though I don't know what day or time you're reading this post - because it's always a good time for a tasty treat, no? 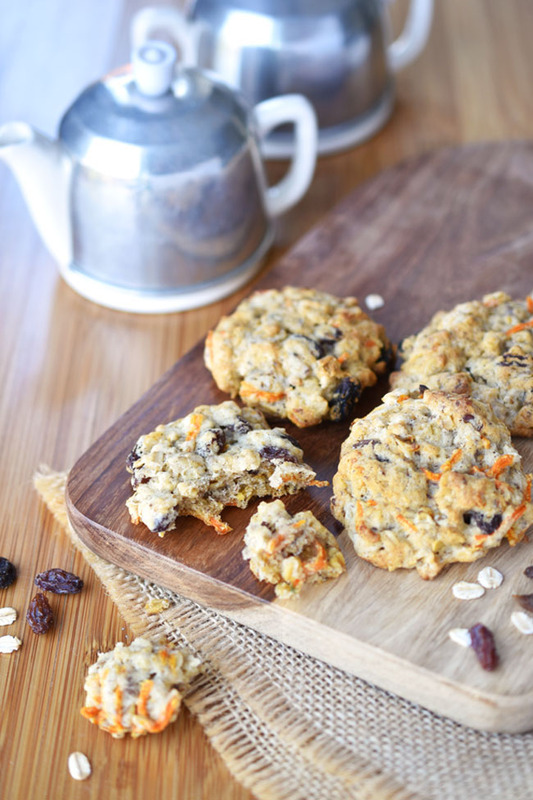 Also, considering that these vegan Carrot Cake Oatmeal Cookies are made with shredded carrots, flax, oats and raisins, they are healthy enough to be breakfast food in my opinion. These easy oatmeal cookies are also great for a mid-morning snack, a mid-afternoon snack and/or a dessert in the evening. 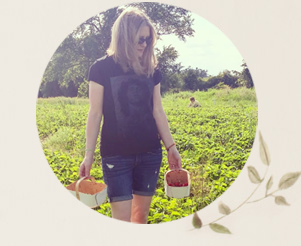 If you are in search of the best recipe for oatmeal cookies with no eggs, no butter (no dairy at all) and no nuts (unless you are fully okay with nuts and want to add some of course) then you've come to the right place! 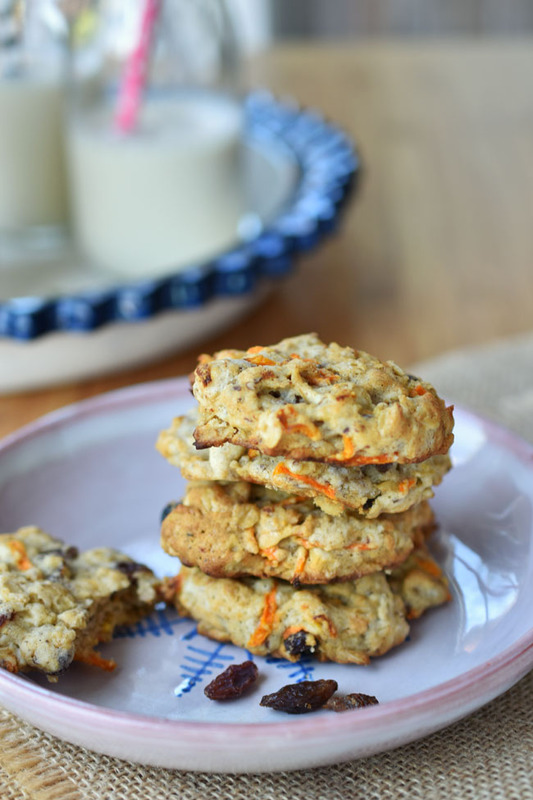 These Carrot Cake Oatmeal Cookies are easy to make, healthy and have few ingredients (and very simple ingredients at that). They do contain sugar (they are cookies after all!) but it couldn't hurt to try a substitute such as stevia or coconut sugar if you are going refined sugar-free for added nutrition. Being free of butter, this oatmeal cookie recipe calls for vegan margarine. Earth Balance is a good one. Becel Vegan is another (cheaper and more widely available) option. 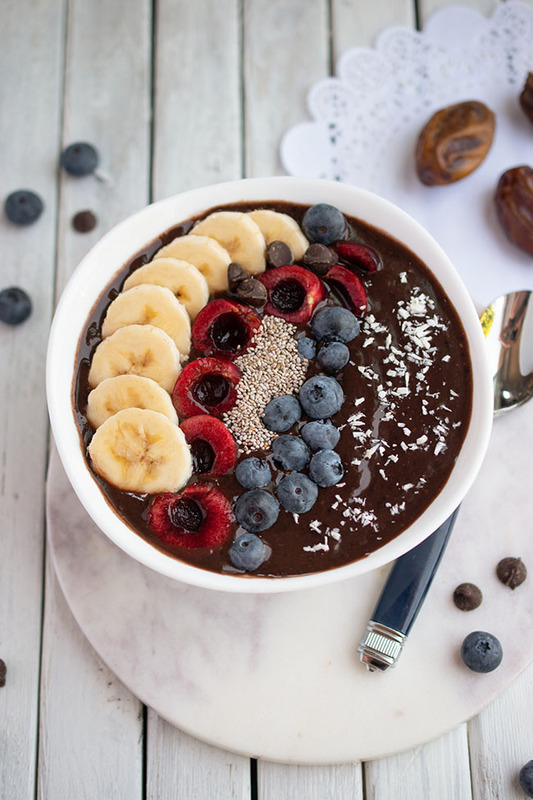 The recipe is eggless thanks to the addition of healthful ground flax "eggs." 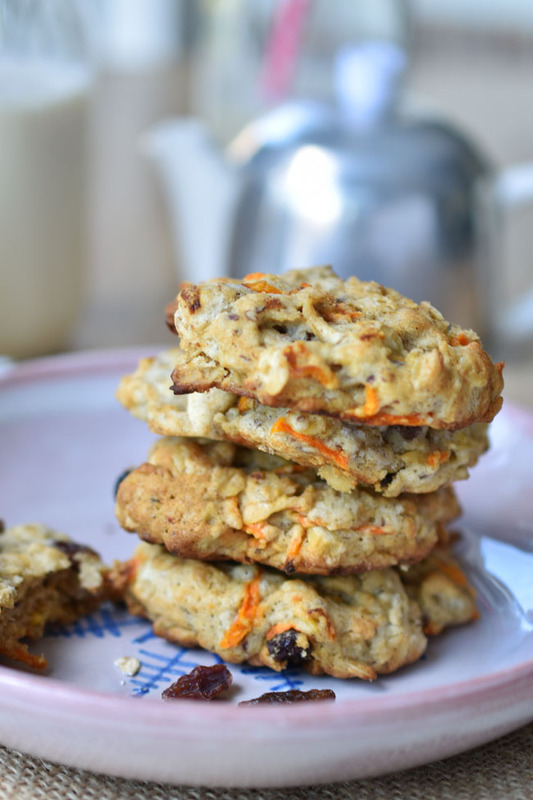 These Carrot Cake Oatmeal cookies are all good things - like scrumptious, soft and chewy, moist, a little puffy and cake-like! You probably noticed the shreds of bright orange carrots. 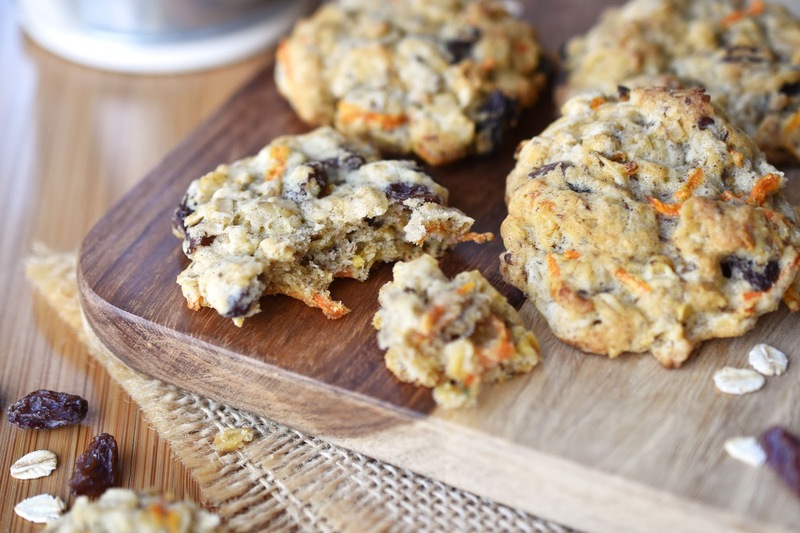 With raisins and a hint of cinnamon, these cookies are pumped with yummy carrot cake-like flavour. 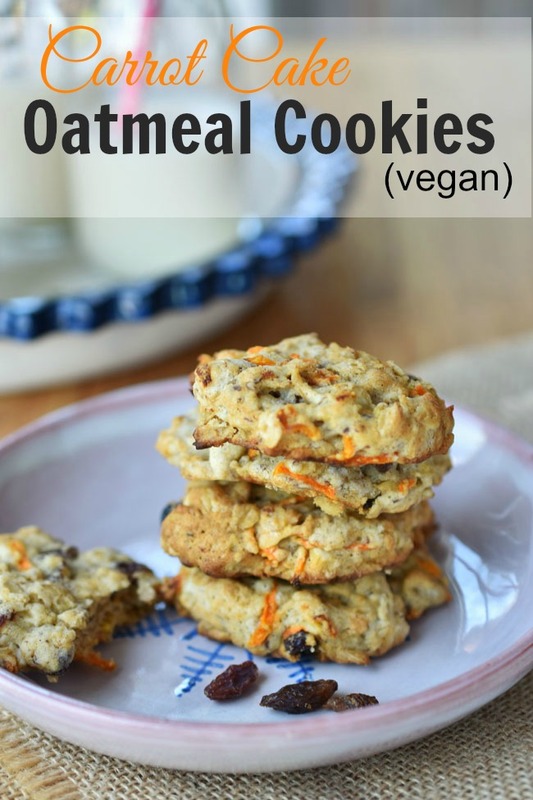 If it weren't for my kids (who need nut-free cookies for school and generally prefer no nuts anyway) I would probably opt to add walnut or pecan pieces to this vegan oatmeal cookie recipe. Although I often use quick oats in recipes, I opted for large flake oats this time for an old-fashioned oatmeal cookie flavour and density. I also included a whole whack of raisins in the recipe, because that's how I like my oatmeal cookies - full of plump raisins. You could certainly leave them out, or substitute with dried cranberries or chocolate chips. Chocolate chips. Yum. If I tell you that these cookies are really good, it just sounds a bit braggy. But I can tell you that my husband and my daughter love them. The cookies look too healthful for my teenage son to try them currently. I'm hoping he grows out of this stage soon. 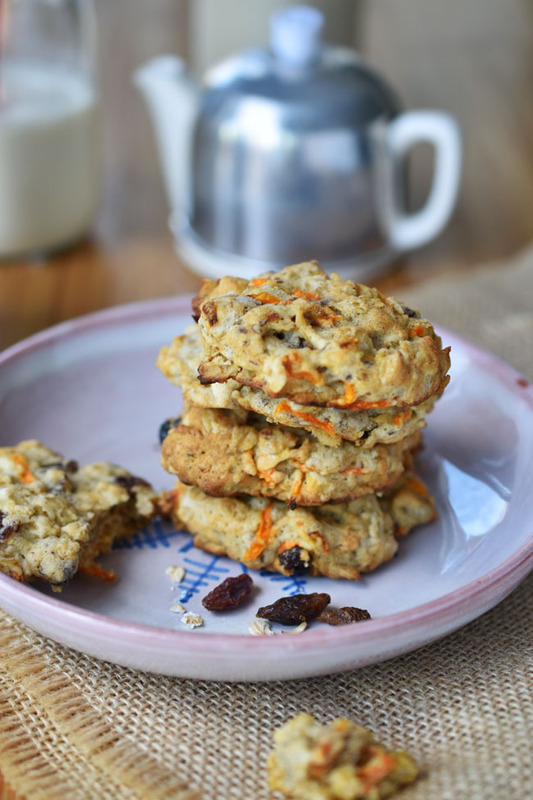 Enjoy these eggless, dairy-free Carrot Cake Oatmeal Cookies with a hot cup of tea or coffee or a tall bottle of soy or almond milk, depending on the time of day, the weather and your mood. 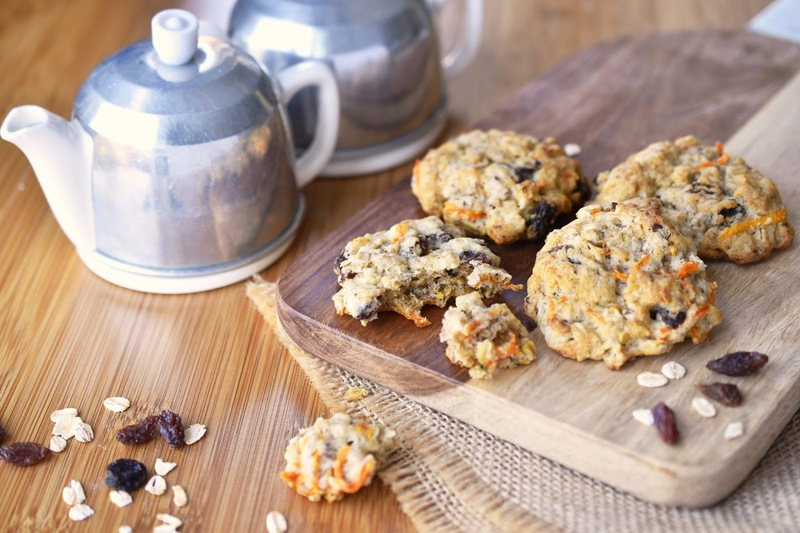 What type of oatmeal cookies do you enjoy? In a large bowl, using an electric mixer, blend the margarine and sugar until well mixed. Add flax "eggs" and blend for another minute. Stir in carrots. In a separate large bowl, combine oats, flour, baking soda, cinnamon and salt. Add dry mixture to wet mixture. Stir until well combined. Stir in raisins. Drop the batter by heaping tablespoons 2 inches apart on two parchment paper-lined cookie sheets. Flatten slightly with your hands. Bake for 10 minutes or until golden on the edges. These look delicious! Easy to make. I would eat them for breakfast. Thanks for sharing your recipe. They definitely are easy to make. And yes to eating them for breakfast! Thank you Gabriela!